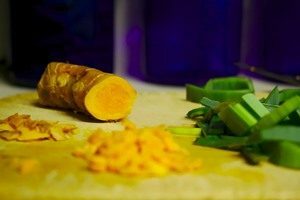 If you’re a fan of Indian cuisine, I’m sure you’re already familiar with Turmeric, a yellow-orange colored spice that adds color and flavor to curries and other recipes. But aside from it being a popular ingredient in many Asian dishes, this “Queen of Spices” is also famous in traditional and modern medicine. Curcumin, a primary component of Turmeric, contains anti-bacterial, anti-fungal, anti-inflammatory and anti-carcinogenic properties, making this spice a superfood and the most powerful herb in fighting and potentially reversing diseases. 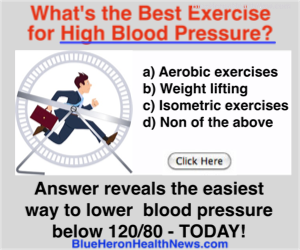 Let’s dig in a little deeper and find out more about its ability to benefit your overall heath. A research proved that curcumin in Turmeric is actually 400 times more potent than the popular diabetes medication, Metformin. Adding turmeric to your diet can help stabilize blood sugar level and prevent complications from diabetes. According to recent studies, curcumin shows an ability to inhibit cancer cell growth and even kill cancer cells most especially in radiation-induced tumors. It also has a preventive effect against potential T-cell leukemia, colon and breast carcinomas. Because of its anti-inflammatory properties, turmeric can help prevent and reduce joint inflammation and pain. Curcumin is said to increase Brain-Derived Neurotrophic Factor, a type of growth hormone that functions in the brain. As a result, it can improve brain function and possibly reverse neurological diseases. There is no cure for Alzheimer’s Disease but there are numerous ways to prevent it. One of those is adding turmeric to your diet. Curcumin is said to clear the buildup of protein tangles called Amyloid plaques which is a key feature of the disease. Curcumin in Turmeric also modulates the level of neurotransmitters in the brain such as dopamine, serotonin and norepinephrine. Any interference with the transmission of dopamine can produce depression-related symptoms which can be avoided by adding Turmeric to your diet. The role of curcumin in promoting good heart health is by improving the function of endothelium which is the lining of the blood vessels. When there is dysfunction, the endothelium is unable to regulate blood pressure and prevent formation of blood clots, which can result to cardiovascular diseases. Aside from reducing the risk for age-related diseases, curcumin also has a powerful anti-aging effect. According to a theory, aging is caused by telomere shortening which results to cellular aging and an increased risk for degenerative diseases. Recent studies show that curcumin could increase telomerase expression and preserve telomere length, that can slow down the aging process. I’m sure by now you’re already convinced of how amazing this spice is. If you are, here are 5 Ways to Add Turmeric to Your Diet.